Patrick Kesteven, a consultant haematologist at Freeman Hospital, Newcastle, is open and clear-minded when talking about why his trust board decided to break away from the £12.7bn National Programme for IT in the NHS. "The National Programme was taking forever," he says. He is not even sure that the National Programme for IT (NPfIT) - the UK government's biggest IT investment - will ever work as originally intended. system of e-records to start going live at three hospitals in Newcastle in May next year. Executives at the Newcastle Upon Tyne Hospitals NHS Foundation Trust, which employs 11,000 clinical and administrative staff, have given up waiting for e-record systems from the NPfIT. They want as soon as possible to give doctors and nurses systems which, with a single log-on, provide an overview of patients' treatments and histories, who is supervising them, where they are in the hospital and whether, for example, they have just had an adverse reaction to a general anaesthetic. The trust also wants better information to ensure it is paid for all it does. When patients are given extra treatment unrelated to their initial problem, the work can go unrecorded on existing payment-related systems. The NPfIT was specified to provide the solutions, but the government promised it would be in place by 2006. When ministers announced the NPfIT in 2002, they promised that patients would have a national electronic health record by the end of 2005. That has not happened, nor is it expected to happen for years. The National Audit Office says it will be 2015 before a national e-records scheme will be rolled out across England, and believes even that date may be optimistic. So the Newcastle board has decided to buy its systems from the US University of Pittsburgh Medical Center, which has introduced an integrated e-records system at its 20 hospitals. The purchase cuts out CSC, the national programme's local service provider to NHS organisations north of Oxford. It also sidelines NHS Connecting for Health, the 1,100-strong bureaucracy in the Department of Health which is running parts of the NPfIT. Newcastle and Pittsburgh Medical Center have formed a joint venture whose directors hope to sell licences and implement systems to NHS organisations. Other foundation trusts have been inquiring about Newcastle's approach to major IT investment, says a report to the trust's board. Foundation trusts have the freedom to buy outside the NPfIT if they have good financial reasons for doing so. Non-foundation trusts must buy their main hospital system - the patient administration system - under the NPfIT, although there are exceptions. 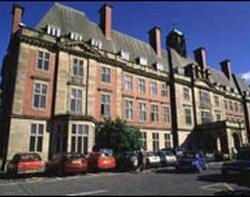 Monitor, the regulator of NHS foundation trusts, is aware of Newcastle's plans to buy outside the NPfIT. Newcastle's board has been told that Monitor "understood that the trust could not wait until 2012/13 for the national programme to provide the required systems". If many foundation trusts diverge from the NPfIT, the government's plan to supply England's NHS trusts through a small group of appointed IT companies - local service providers - will disintegrate further. Already, non-foundation trusts in the south of England are considering "interim" systems not supplied by the scheme's two remaining local service providers, BT and CSC the contract of the third provider, Fujitsu, was terminated. Tola Sargeant, an NPfIT expert at market analyst Ovum, says that the "lull" in the NPfIT, mainly in southern England, creates opportunities for suppliers other than CSC and BT. "Some trusts may decide they cannot afford to wait for a local service provider system and instead procure an interim or replacement system from alternative suppliers," she says. "However, competition for any such contracts will be stiff and small UK SMEs will be competing against much larger international rivals that are also targeting the UK market." Kesteven and the Newcastle trust recognise they are taking a risk by going it alone. No figure has been announced for the cost of its investment in a US electronic medical records system but Computer Weekly understands that the investment is £15m over two years. This includes a payment in advance for seven years of Cerner software licences - pre-ordered licences and any more they decide to buy within the seven years - and all support and maintenance, but not consultancy. The Newcastle trust is the first organisation outside the US to invest in Pittsburgh Medical Center's Cerner-based e-records technology. Kesteven recognises that not all staff at Pittsburgh Medical Center are enamoured with all aspects of the system. "But would they go back to how things were before? They couldn't imagine it." There is also the challenge of making a US system work in the UK. Anglicisation will be the key, Newcastle has been told. If the Newcastle implementation goes badly - as did a basic version of the Cerner system when it was deployed at some NHS trusts in London in the south of London - health officials in Whitehall may say it serves the trust right for not waiting for the free (because centrally funded) NPfIT systems. But Newcastle's executives see the risks as worth running. They have learned the main lesson from the troubled installations of the NPfIT Care Records Service in London and the south of England: that the customer must be in control of the supplier, the contract, the software's functionality and the changes in the day-to-day working practices of doctors and nurses. Homerton and Newham hospitals in London have successfully installed Cerner systems. But it took years to resolve problems, which they did through a contract with Cerner, and without a local service provider acting as middleman or the involvement of Connecting for Health. Those NPfIT trusts that have run into serious and enduring problems have not been in direct control of the suppliers. They include Barts and the London, the Royal Free, Nuffield Orthopaedic Centre, Barnet and Chase Farm, and Weston Area Health Authority. As they have no direct contractual relationship with the suppliers, NPfIT trusts cannot sue over a failed installation. Contracts for NPfIT installations are between the health minister and the local service providers. So when NPfIT trusts want changes to the Cerner or "Lorenzo", they usually have to put their requests to a committee. Any variations may be granted eventually and incorporated months or years later in a general software upgrade. Little wonder then that local service providers and Connecting for Health are seen by some NHS executives as unnecessary middlemen. Even with their own IT contracts in place, Newcastle's directors know it will be difficult trying to combine information on its patients, given that data is held in up to 100 legacy systems across its various sites. Andre Snoxall, e-record programme director at the Newcastle trust and a former CIO at trusts in New Zealand, says that even with the most favourable conditions and contracts it is still an enormous task to bring about a comprehensive view of a patient with a single log-on. "It takes an extraordinary amount of effort to try and get a full picture of a patient's history," he says. He adds that the biggest challenge for the trust is not so much technology as inspiring people, engaging them and "getting them working towards a common goal". And if achieving a single patient view at one large trust alone is hard enough, the government aims to do it for all hospitals across England. Standardised systems, no contractual relationship between most trusts and their suppliers, little customer control over changes to the software, and delays of at least four years so far are just some of the obvious problems. Kesteven will gain some sympathy from some NHS IT executives for his view that the NPfIT may never happen. That should be a prompt to the government to rethink the programme or conduct a high-level review, which it has so far repeatedly refused to do. The go-it-alone costs of hardware and software are higher for the Newcastle Upon Tyne Hospitals NHS Foundation Trust than if it installed systems under the NPfIT. NPfIT hardware and software are paid for by the government's £6.2bn worth of contracts with local service providers, and are therefore free to NHS trusts. But the Newcastle trust points outs that maintenance and support are cheaper outside the NPfIT. Overall, according to the details of Newcastle's business case seen by Computer Weekly, the costs are no higher outside the NPfIT than within it. and "hard and softer savings and benefits are ultimately similar in magnitude, although planned and expected to be achieved much sooner"
The trust also says the NPfIT option "requires more ongoing system maintenance, service desk and lifecycle costs, which erodes into the recurrent savings achieved". It adds that there are "marginal differences between the ongoing additional infrastructure staffing requirements" between the NPfIT and joint venture options. "Based upon the above it is considered that from a value for money perspective then the joint venture option was preferable." The trust is currently using the McKesson system, which will be gradually replaced with Pittsburgh's Cerner system. How will Newcastle avoid the problems at Cerner NHS sites in the south of England? Andre Snoxall, e-record programme director at the Newcastle foundation trust, says, "Knowing the problems there are is half the battle. We have partnered with University of Pittsburgh Medical Center, who I believe are the largest single Cerner customer in the world. "Therefore we believe they have got - and this is part of the reason we partnered with them - a tremendous amount of clout with Cerner. They have the ability to influence the way that product is developed. We are hoping that through that relationship we will get a version of the product that's more advanced than the ones that have currently been implemented. "However we are not putting all our eggs in that basket. We recognised that organisations such as Barts and the Royal Free have encountered a number of issues largely because of deficiencies in the way the product handles the 18-week pathway [a target to treat 95% of outpatients and 90% of inpatients within 18 weeks of being referred by their GPs]. "We will look at how we may avoid [these problems] through workarounds and through whatever means are available. We have more time, another nine months, to try and get that right. "Hopefully, we won't end up with all the same sorts of problems. Now that's not to say we expect everything will be perfect from day one. We don't think it will. But forewarned is forearmed. "A lot of problems are down to the fact that you need more people to be able to manage the patients than would be optimal."